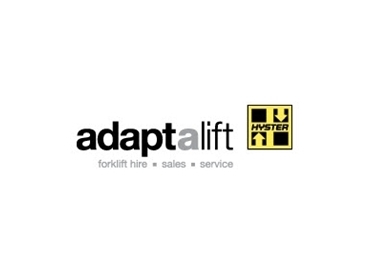 ADAPTALIFT Hyster ’s H50CT medium duty forklift is specifically designed for single shift work and suits most industries such as agricultural, general warehousing and distribution, beverage distribution and bottling, light manufacturing, and retail. A lightweight frame and fuel efficient Mazda 2.2LP engine helps to reduce fuel consumption by up to 15%, and protected lights and an advanced cooling system reduce downtime. The forklift has an ergonomic design with a high visibility overhead guard, full suspension seat, lower step and easy 3 point entry. For improved operator comfort and productivity, the full suspension seat is adjustable. It can help reduce vibration and minimise operator fatigue. The forklift mast is made from a single piece rolled steel, heavy duty cross members and loader rollers canted at 3 degrees. The cooling system features a wide open counter-weight for maximum airflow and heat reduction. The serpentine radiator is designed for maximum air flow and efficiency.